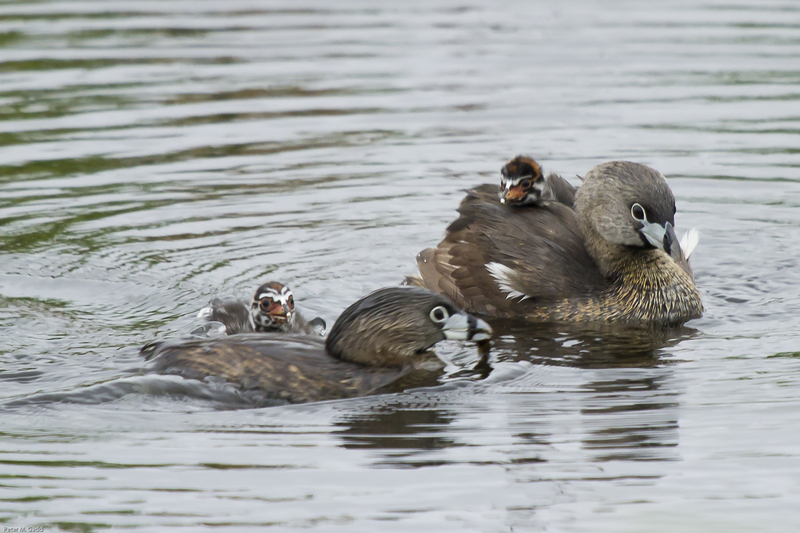 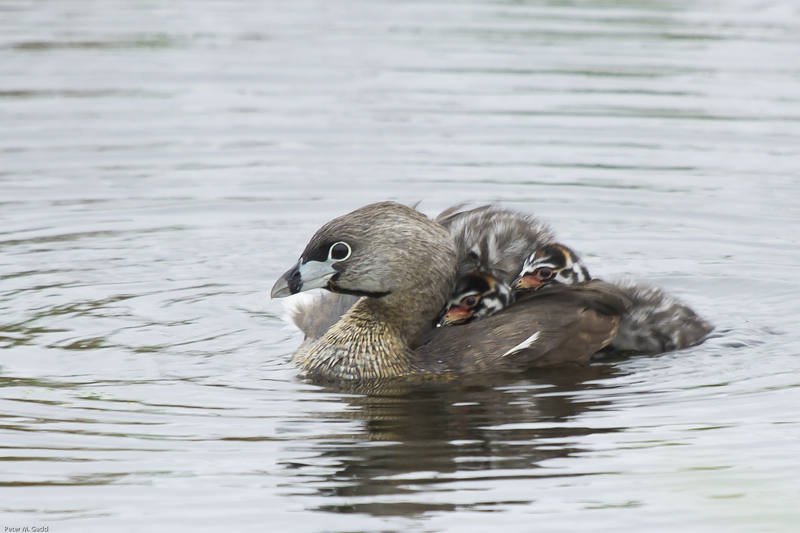 Miramichi Marsh June 5 – There are two Pied-billed Grebe families with at least 6 young between them. 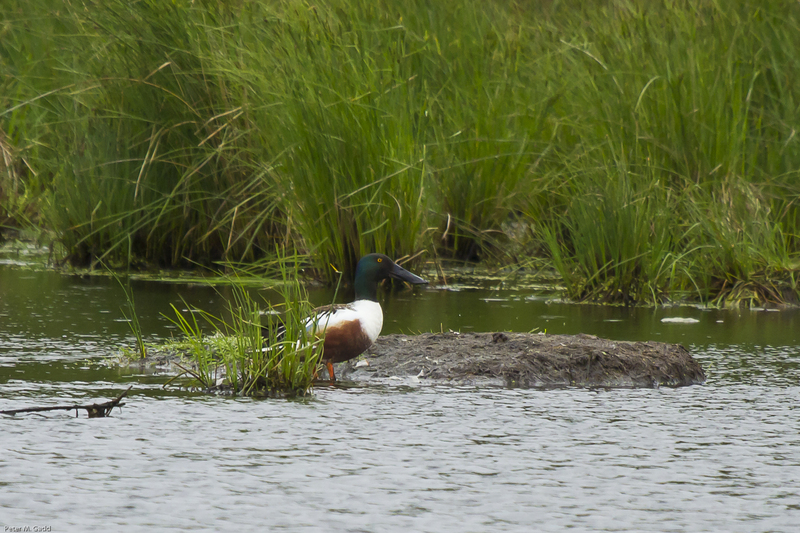 A Northern Shoveller was paying a visit. 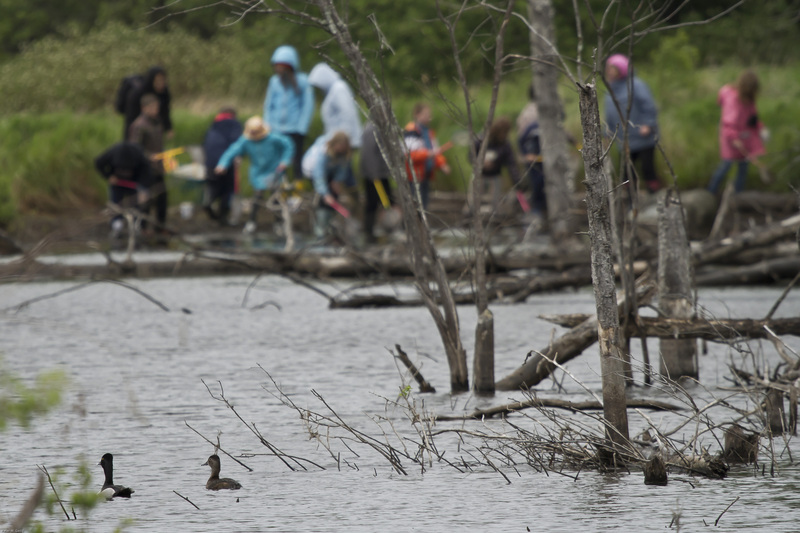 A small class of students from Croft Elementary enjoyed the Grebes and were doing some pond water captures under the direction of Ducks Unlimited leaders.